How to end Dilaudid addiction. Dilaudid is closely related to morphine with the same benefits, but also the same risk of addiction. Because it is an opiate, it has all the same risks of using any other opiate like Oxycodone or Fentanyl. Opiates are very addictive and the hardest thing to understand when you think about opiate addiction is that it can all start so innocently. Every day, doctors will prescribe an opiate for control of moderate to severe pain, Dilaudid, oxycodone, codeine and the like have become household names because they are so commonly used for legitimate, medical purposes. The problem is human nature. If one pill makes you feel better, then two pills must be better yet—or so we think. It’s easy to get into a drug abuse pattern-- that is, using the drug outside of the strict confines of the prescription. A doctor gives you a prescription which calls for a specific dosage of the drug at specific times. Moreover, they will often do an assessment to determine whether you are likely to develop an addiction or likely to abuse the drug. But you don’t always listen. Many people think of dark alleys and criminal activity when they think about opiate addiction. They talk of drug deals made in urban areas, drug houses filled with addicts, and the court schedules stacked with drug cases. The use of illegal street drugs, like heroin, is another aspect of the opiate addiction issue. The abuse of street heroin doesn’t always start with a first time user, but is more likely the result of a process that starts with a person using a gateway drug first, such as alcohol or marijuana. Many heroin addicts actually start with a legitimate opiate prescription, that got out of control and became addiction. When we talk about Dilaudid abuse treatment we’re really talking about ways in which this disease can be treated. Opiate addiction is difficult to overcome, especially if the disease came out of a legitimate need to control pain. Your body will build a resistance to the opiate, which means that it takes a greater amount of the drug to achieve the same effect. Again, we tend to push the limits on the prescription and that’s really how things get out of whack. As time goes on, we wind up taking more pills to control the pain. The prescription may run out and we are still in pain, but the doctor says “no” to a refill, or it is not yet time for the prescription to be refilled, so we look elsewhere to find the drug. “Doctor shopping” is common because we want that refill. Meanwhile, as a physiological dependence on the drug for pain control is developing, a psychological dependence can also occur, which is just as problematic. The brain is conditioned to think it needs the opiate to function properly and if you remove the drug, there can be severe emotional and psychological reaction. The pattern has been to use the drug and the need, or craving is powerful. That’s why relapse is so common, and must be considered part of the disease treatment. Treatment is always personal. One size does not fit all, so there are options for opiate addiction treatment programs. In America, we tend to lean towards a clinical setting, which makes sense, as there are outstanding facilities to help individuals not only rebuild their lives from the opiate addiction, but also to help them through the serious withdrawal process and get them back on a healthy path. Medical detoxification is the beginning of this process for Dilaudid abuse treatment, as a trained staff of medical people administer drugs to help the patient rid his/her self of the substance. Opiate withdrawal, although unpleasant, is not necessarily fatal, but it is still seriously monitored to provide maximum safety for the patient. Detoxification can take place in a residential treatment facility, or in an out-patient setting. Many out-patient opiate detox facilities have been established and are doing quality work in helping people. Once detoxification is accomplished, patients have more options. If they are in a residential setting, which can take place anywhere from a couple of weeks to six months or more, they have daily activities, all designed to help them establish new patterns of thought and behavior, as well as a carefully prepared nutrition program and exercise activities. These activities are tailored to the individual and may also include individual counseling, psychotherapy, group therapy and 12-Step recovery. These activities are supported by a medical team, who stand ready to assist with any medical needs. Remember, we are body, mind and spirit and all three need attention, whether in-patient or out-patient, in treatment programs. There is no cure for opiate addiction, but it can be managed. Addicts have one main goal and that is to not use the opiate drug anymore. There is, however, medical treatment for opiate addiction. This is not detoxification, but the administration of drugs that help the addict refrain from using and adjust to life without the drug. Methadone clinics have been established to substitute methadone for the opiate. Suboxone is another popular drug treatment for opiate addiction, mainly because it is more readily available and convenient for the patient. If it is given that no medical attention is required, patients may also choose a faith-based treatment program and there are many superb options. By faith-based, we are not talking necessarily about religion, but these programs may be rooted in religious tradition and instruction. An example is 12-Step, originally developed in the 1930’s by Alcoholics Anonymous. This program is not meant to be religious, but it is spiritual. It relies on a “power greater than ourselves” and “God, as we understood him,” leaving any personal beliefs up to the individual. If a person allows him/her self to honestly and completely go through the steps, results will follow. AA members will often say, “It works if you work it,” and that is the essence of 12-Step. Other programs are based in religious teaching, such as “Celebrate Recovery,” which was developed at Saddleback Church in Orange County, California years ago. It combines the 12-Step with the Beatitudes, found in the Gospel of Matthew, Chapter 5. Yet another option is psychological treatment, meeting one-on-one with a clinical psychologist, a psychiatrist or psychotherapist, and perhaps participating in a therapeutic group to deal with the everyday pressures of addiction. This time of self-discovery and reflection can be very effective in helping a patient “deal” with the disease and understand how to overcome its clutches. As mentioned, addiction cannot be cured. 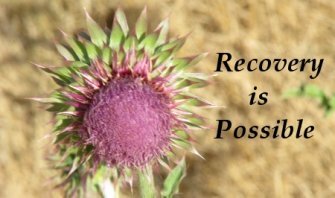 Treatment is vitally important to help people rebuild their lives, but the recovery process--getting on with life after treatment--is just as important. People attend support groups, or have regular time with a counselor, pastor or close friend to help them maintain. Recovery is the rest of your life. Treatment periods may happen once, or be arecurring theme. The important thing is to try. How many times in treatment does it take for a person to overcome the disease and live a healthy life? The answer is simple—as many times as it takes. Click here for more about Dilaudid Abuse Facts.